While some vintage technology gets permanently relegated to history’s dustbin, sometimes it can stage a comeback. Vinyl records, it seems, never quite went extinct given the humongous number of them still in circulation, while throughout the digital age, a certain nostalgic affection for them developed. Amazingly, my local Whole Foods actually sells vinyl record albums for playing on turntables. Now, it is the album cover that has assumed a higher tech profile. 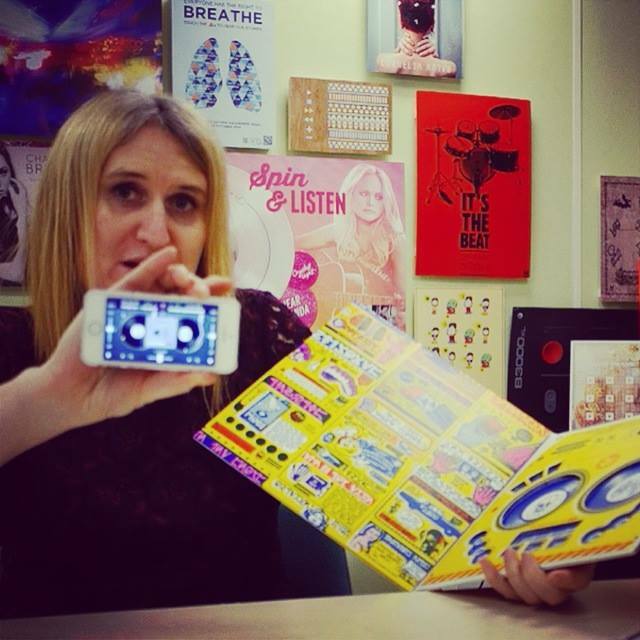 Novelia, a Cambridge UK company, has transformed the always expressive but essentially static sleeve into an interactive package that not only stores the record but can be used as a creative tool. 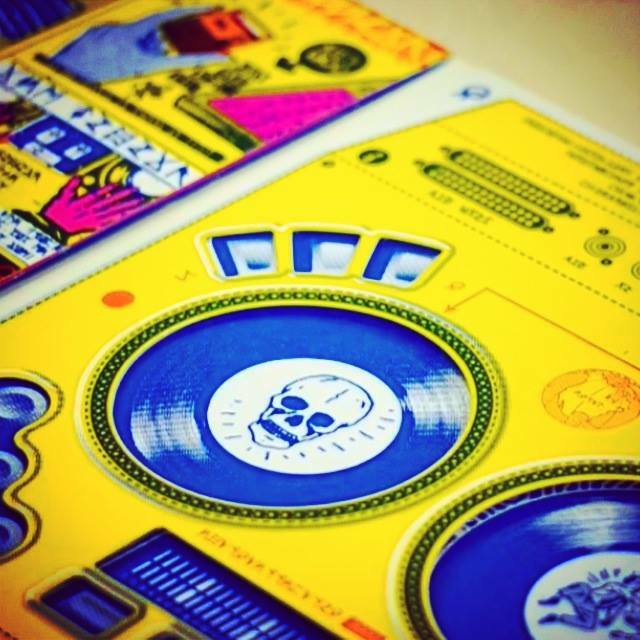 The company’s printed MIDI DJ Deck was launched in conjunction with recording artist DJ QBert’s Extraterrestria album. Extraterrestria’s inside cover features a set of Bluetooth MIDI decks and controls that connect to iOS and OS X. Touching the paper connects to Algoriddim’s djay app, which allows users to scratch, mix or fade songs loaded into the software. 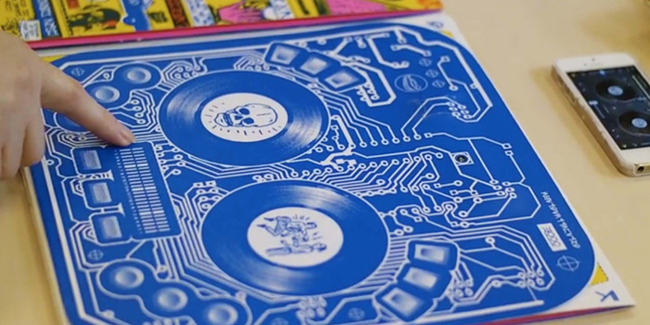 It has two decks, a cross fader and a set of effects buttons printed onto the inner sleeve. You can touch various parts of the cover to activate individual sounds for a beat and melody, and even compose your own song. For several years, the company has been developing technology that combines conductive print and capacitive touch to create surfaces that act both as sensors and speakers. In 2013, for example, it debuted an ingenious drum kit poster that let you touch to play different sounds in time to the music. “We work at the interface of the digital and physical, taking the essence of the digital world and putting that digital DNA into beautiful physical objects which have intuitive touch, connectivity and data beneath the surface and are manufactured by processes such as regular print,” Novalia’s Dr. Kate Stone wrote on the company’s blog, explaining the overall concept. The technology can work in different ways: One connects to your iPhone or iPad via Bluetooth to play sounds wirelessly and the other stands alone to transform a surface into a speaker via a programmable Bluetooth-enabled chip affixed to heavy paper stock. Using electricity conducting ink, the company prints circuits on the paper and then programs the chip so that each circuit creates a different sound. After the unit connects wirelessly to your iPhone or iPad, you touch the paper and sounds then emit from your device. More information on how to obtain this technology is available on Novalia’s website.